It’s another school day, and for Rory Staack, that means another pill. She looks at the orange and white capsule and wonders if it’ll be enough. She grew a tolerance to the old ones, but luckily she just got her hands on a stronger bottle. It’s not Adderall, but it’s close enough. She’s been taking them for years now to get an edge on schoolwork. She doesn’t like to be doing this. She knows the side effects. There’s just so much work to do, she has to take it again. How else will she get through it all? Staack has ADHD, and for her, drugs like Adderall aren’t a way to get ahead, they’re a way to get to the starting line. 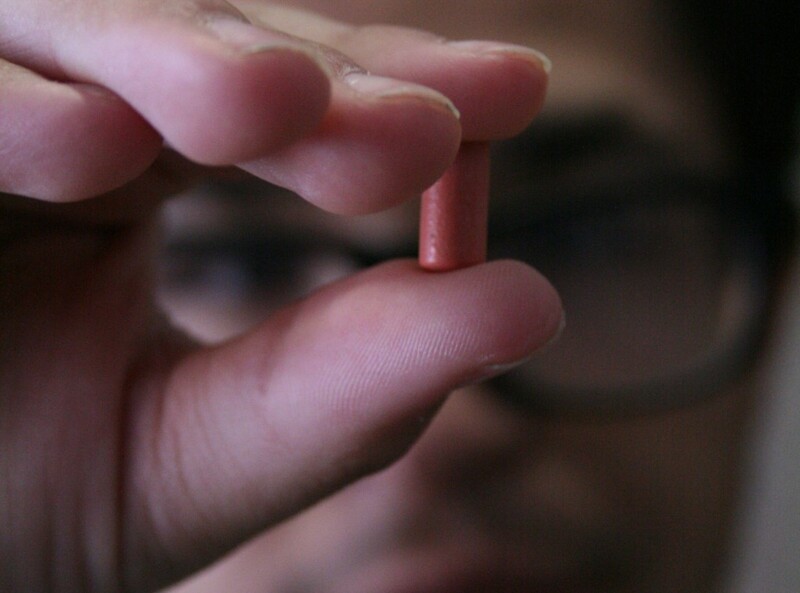 We hear constantly about the problem of college students abusing prescription stimulants. With somewhat similar effects to cocaine, these drugs easily hook students trying to get an edge on their studies. A story less told, however, is that of the legal users of these drugs. Attention-Deficit/Hyperactivity Disorder is a complex neurological condition with a wide range of symptoms. ADHD is an overarching term for three subtypes: Inattentive, hyperactive, and combination. While the main characteristics of each type are self-explanatory, everyone experiences the condition differently. The current theory is that the disorder affects development in certain parts of the brain. This most notably impacts the brain’s executive functions used for planning and executing any variety of tasks. Though untreated ADHD can make just about any part of life into a chore, many who have it find that the side effects of their medicine outweigh the benefits. According to a 2016 study by the CDC, only about 62 percent of children aged 12 to 17 who’ve been diagnosed with ADHD actually take medication for the disorder. Though research on adults is harder to come by, this shows a high level of concern from both parents and possibly their children. Ethan Brooks, a junior at Champlain College, was diagnosed recently in adulthood and has been struggling with treatment since. His parents are against the idea of medication, and he’s yet to find one that he feels does more good for him than harm. Problems with things like severe anxiety, sleeplessness or a dangerous lack of appetite are just a fact of life for many who take prescribed stimulants. After taking medication for years, Jessica Alexzandrikc decided she might be better off without them. For Rory Staack, a recent break from her medication led her to feel similarly about its effects. On top of all the short-term problems, there are few relevant studies on the effect of lifelong daily stimulant use on a person’s health, leaving the long-term health of patients largely unknown. According to a study by the Government of Western Australia’s Department of Health, daily usage over the course of 14 years results in a “significantly higher diastolic blood pressure.” This can lead to having high blood pressure, which in turn puts individuals at a higher risk of heart disease and stroke. The study is unable to confirm these results, however, and stresses that further research needs to be done. With how bad the side effects of the medicine can be, what about having ADHD makes taking them worth it? One important aspect of the disorder involves a general deficiency of receptors for dopamine, an important chemical related to motivation and happiness. This chemical works with a person’s reward center to make them feel accomplished after completing a task. Since a brain with ADHD has a harder time with dopamine, the person somewhat loses the part of the brain the congratulates them on doing anything from washing dishes to hanging out with friends. This leads to people not only feeling little desire to complete most tasks but also craving any activity that heavily stimulates the reward center, such as sports or video games. What this means is people with ADHD have less of a lack of attention and more of an inability to focus their attention effectively, according to Joel Nigg, Ph.D., in an article by Additude Magazine. Part of their struggle is not just not doing something, but accidentally using all their time and energy on something useless that their brain tells them is more important. “You’re working against yourself,” said Staack. “Over break I didn’t do a discussion post for class. I was like, ‘I can’t believe I did that,’ but at the same time I don’t care, but also I want to care,” she said. While the idea of having to fight off the urge to procrastinate and ignore your responsibilities is something almost everyone can relate to, ADHD has a way of making the choice for you. Without the help of medication, some don’t have the ability to resist. Ethan Brooks describes it differently, but experiences this same problem almost daily. “I tend to forget about assignments or push them off to the last minute, despite the fact that I recognize that this behavior will negatively impact me. It’s almost unconscious while being conscious if that makes any sense,” he said. The end result for some is a choice between suffering through nearly every daily task or fighting side effects so prevalent that they either cause or feel like another disorder altogether. Senior Armand Klisivitch said his ADHD really mandates that he take medication and he even blogged about it for a communication Feature Writing course. He said without his medication, he truly can’t function right or complete work. While Brooks and Alexzandrikc no longer take their medication, Staack continues despite how it makes her feel.